Honestly, I had no idea this one topic would get to a "part III". Parts I and II shouldn't gotten the job done, but then the folks at Reaper had to go make a Kickstarter. A Frugal GM doesn't go spending money left and right on Kickstarter campaigns, especially since some pretty much boil down to "I've got an idea.....send me money and I'll be able to quit my job and work on it." I'm expecting the Kickstarter bubble to burst sooner rather than later, but until then it is refreshing to see a game company using the site in a more traditional fundraising fashion. To start off: technically Reaper doesn't need your money. 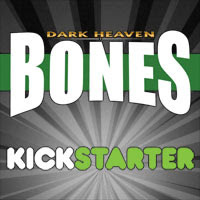 The Bones line will be expanded on it's own without a dime from Kickstarter. While they could easily do this on their own, it will take time to organically grow the line. The Bones line is quite popular and I think they could grow the line to their goals within a few years, but that is still a "maybe". 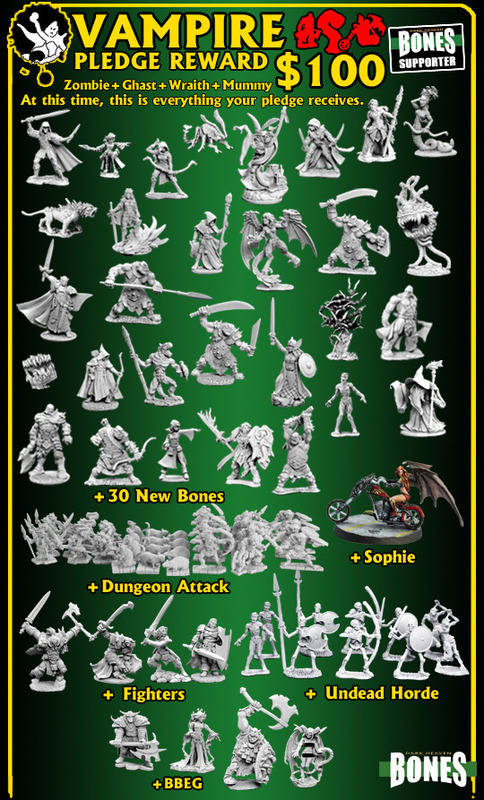 It took time to grow the metal miniatures line to where it is today. Reaper's Kickstarter Campaign is simply a way to accelerate that growth. By my rough math I'm guessing it takes roughly $1,000 to produce a new mold for the plastic miniatures. They already have the masters made since these are existing miniatures, so really the only thing holding things back is a lack of capital. The video from the Kickstarter does a good job explaining....much better than pretty much any other video on the site. As a Frugal GM, I just see where funding this particular Kickstarter...at the Vampire level at least, is just a good idea. Basically you can give your miniature collection a great shot in the arm for a good price. 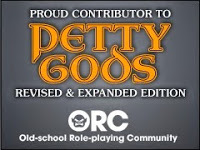 With the way that they are adding these bonus stretch goals it seems like a no-brainer to me. Anytime after I've decided to give someone a specific amount of money in exchange for a specified benefit....and they decide to change the deal by giving me more benefit....oh yeah, I want in on that. I think I signed on when the Vampire level was getting 67 miniatures. Now that is up to 85 and by tonight will be up to 89. The two big price-points, if I can recall correctly, for these minis are basically $2.50 and $5.50. The small ones come in multiples per pack. Still, my quick math put this value at $130 retail...minimum.